Born in Jefferson City, Tennessee, in 1957, computer scientist and engineer Mark Dean helped develop a number of landmark technologies for IBM, including the color PC monitor and the first gigahertz chip. He holds three of the company's original nine patents. He also invented the Industry Standard Architecture system bus with engineer Dennis Moeller, allowing for computer plug-ins such as disk drives and printers. 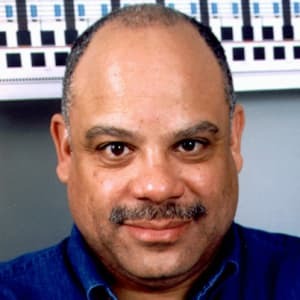 Computer scientist and inventor Mark Dean was born on March 2, 1957, in Jefferson City, Tennessee. Dean is credited with helping to launch the personal computer age with work that made the machines more accessible and powerful. From an early age, Dean showed a love for building things; as a young boy, Dean constructed a tractor from scratch with the help of his father, a supervisor at the Tennessee Valley Authority. Dean also excelled in many different areas, standing out as a gifted athlete and an extremely smart student who graduated with straight A's from Jefferson City High School. In 1979, he graduated at the top of his class at the University of Tennessee, where he studied engineering. Not long after college, Dean landed a job at IBM, a company he would become associated with for the duration of his career. As an engineer, Dean proved to be a rising star at the company. Working closely with a colleague, Dennis Moeller, Dean developed the new Industry Standard Architecture (ISA) systems bus, a new system that allowed peripheral devices like disk drives, printers and monitors to be plugged directly into computers. The end result was more efficiency and better integration. But his groundbreaking work didn't stop there. Dean's research at IBM helped change the accessibility and power of the personal computer. His work led to the development of the color PC monitor and, in 1999, Dean led a team of engineers at IBM's Austin, Texas, lab to create the first gigahertz chip—a revolutionary piece of technology that is able to do a billion calculations a second. In all, Dean holds three of the company's original nine patents and, in total, has more 20 patents associated with his name.